Patients aren’t properly disposing of unused pain medication after surgery, according to a recent study by Johns Hopkins researchers. Patient education is essential, as leftover pills can pose safety threats to both individuals and the environment. Do you know where to dispose of leftover pain medications? “Proper disposal of medications helps keep the products from being accessed by those who shouldn’t – for example, a toddler visiting a family member’s home, a pet or child getting into a trash can or a person with addiction gaining access to substances,” says Woodward. Collection sites: This is the safest and most effective option. Periodically, the U.S. Drug Enforcement Administration (DEA) and local police departments set up sites around the community for safe prescription take-back days. Specific dates and times can be found on the DEA website. Sites with ongoing collection can be found here. Dispose in household trash: If there aren’t any take-back days available near you, the FDA recommends disposing of leftover pills in your household trash. The trick is to mix medicine in with unpalatable substances such as dirt or coffee grounds. After mixing the materials, place them in a sealed container and discard into the trash bin. Remember to scratch out your personal information from the prescription pill bottle. Flush down the toilet: As a last resort, some especially dangerous prescription medications are to be flushed down the toilet after use. Check the label of your prescription bottle or ask your doctor or pharmacist for guidance. 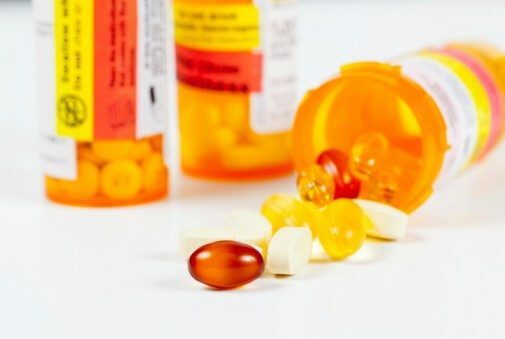 In addition to these tips, the FDA recommends keeping prescription bottles tightly sealed and stored out of reach in a locked cabinet to prevent the accidental or intentional misuse of prescription medication. ← Is it possible to exercise too much?